Once the victim of vicious bullying, openly gay WNBA star Brittney Griner is embracing her new role as inspiration and superstar. 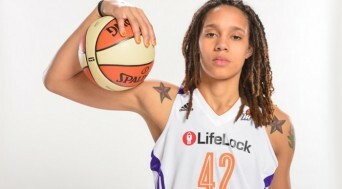 In an interview with the Los Angeles Times this week, Griner, an NCAA phenom who came out as a lesbian before the WNBA draft in April, opened up about her difficult teen years and the responsibility she feels as a role model to lesbian, gay, bisexual and transgender youth. Posted July 19th, 2013 & filed under News, Sports.